Happy Little Bento: Summer Rolls Bento, part 2. 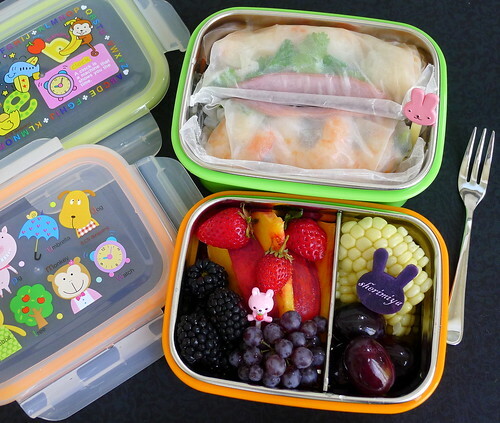 Summer Rolls Bento, part 2., a photo by sherimiya ♥ on Flickr. They are made by a Korean company, and I found them in a Korean grocery store. Cool right?! Ditto on OhayoBento's comment - who makes those boxes??! A Korean company; but I don't know the name. I found them in a Korean mart! 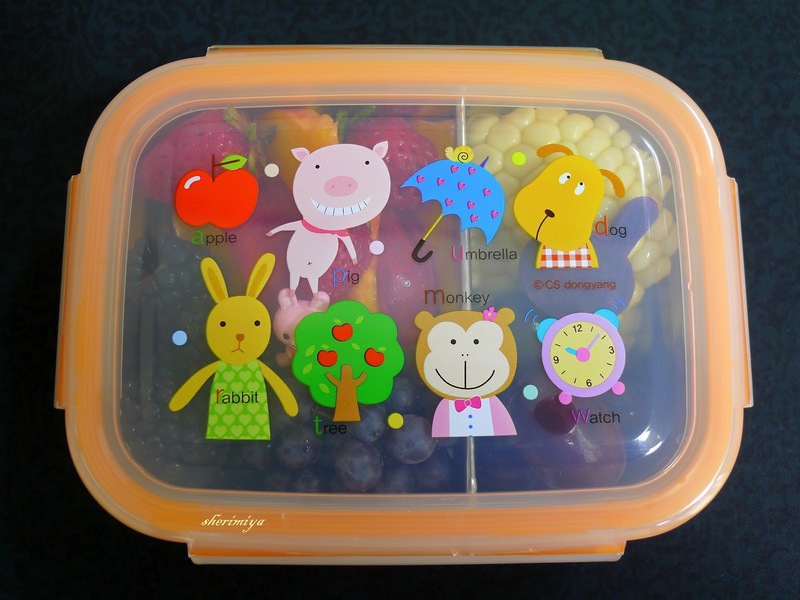 Do u know of a bento box with movable slats so u can customize compartment sizes as small or large as feasible? Yes, there's the Assist bento that I used here: [http://happylittlebento.blogspot.com/2011/11/4-section-assist-bento-photo-by.html] but it's quite large, and I'd think too big for the average young schoolchild. 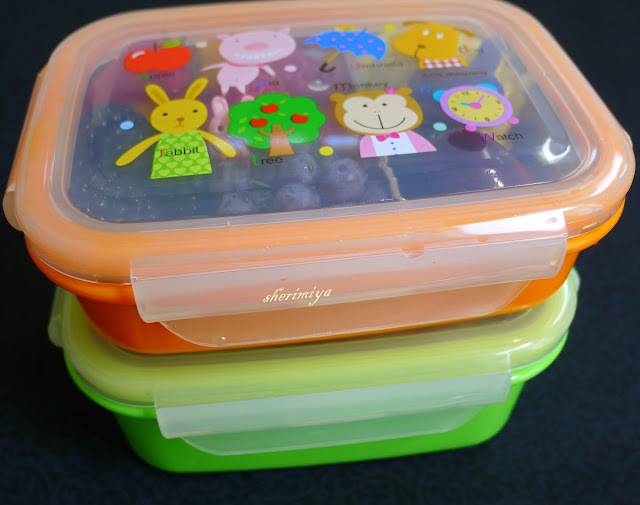 I'd recommend the lock and lock styles; they have a variety of shapes and sizes, with individual compartments, that might be better for portioning out food. Good luck! She said sure! She wants a "flat-back bento"! Hehehe! Thank you Dina; that's so sweet of you! omg i LOVVVVEEEE the new boxes!!! have to check my local korean markets for them. usually all i see is "pororo" stuff though... and i always feel like he's a second-rate character! the spring rolls sound delicious and refreshing. 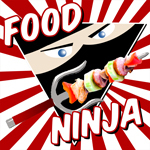 hope you are getting some last sunny summer days in before we have to switch over to heartier/hotter fall food! Yes, these are super fun, and they still pass as appropriate for my learning-to-read kindergartener. Woo! 4th-grader wouldn't be caught with these in his bag though. Where did you find these neat Bento Boxes? Do they come in designs for little boys? Love your blog by the way. I found these in a Korean grocery, in the housewares section. They usually have cute lunch boxes and mealtime plates there. Good luck! And Thank you! I too nominated you for the One Lovely Blogger award! Your blog has been such an inspiration to me! Thank you!! Thank you Caren; that's SO sweet of you!! 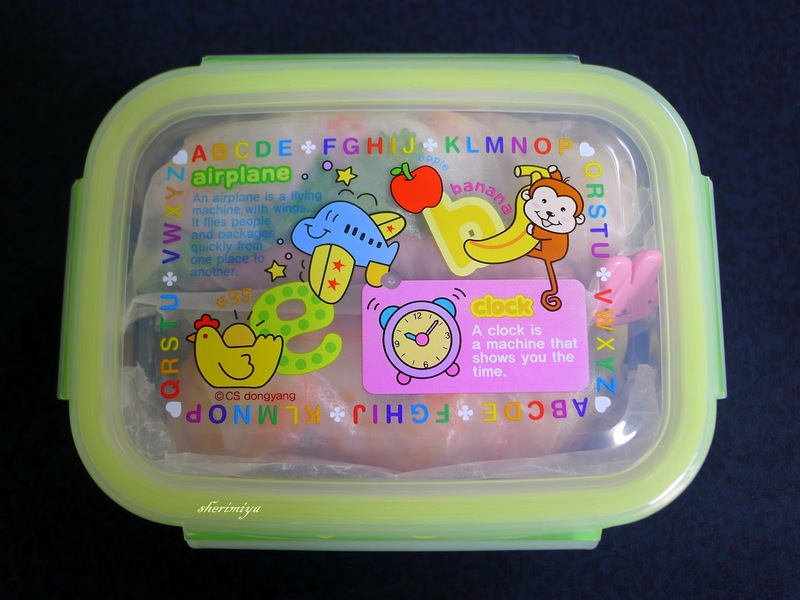 And btw, those lunch containers are adorable. I would have to find one at my Korean grocer.